Gross motor skills are movements that help children develop large muscle control in arms, legs and the entire body. As a toddler, it is important for young children to keep exercising these muscles to enable them to run, jump, throw, climb, etc. 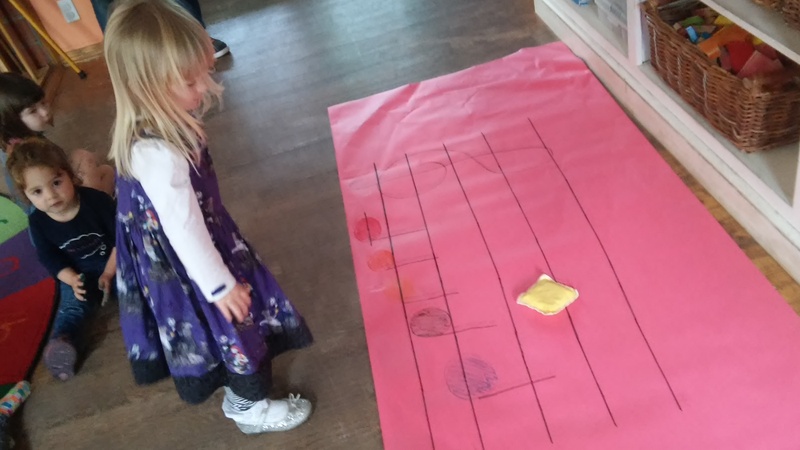 To target this skill, your little one participated in a gross motor activity that helped them learn the notes on the piano! For very young children, music has power and meaning that go beyond words. First, and most important, sharing music with young children is simply one more way to give joy and receive joy. Music and music experiences also support the formation of important brain connections that are being established over the first three years of life. Because note reading is not typically introduced until the elementary school years, our class uses a color system to delineate between different notes. For example, middle C is red, D is orange, and E is yellow. 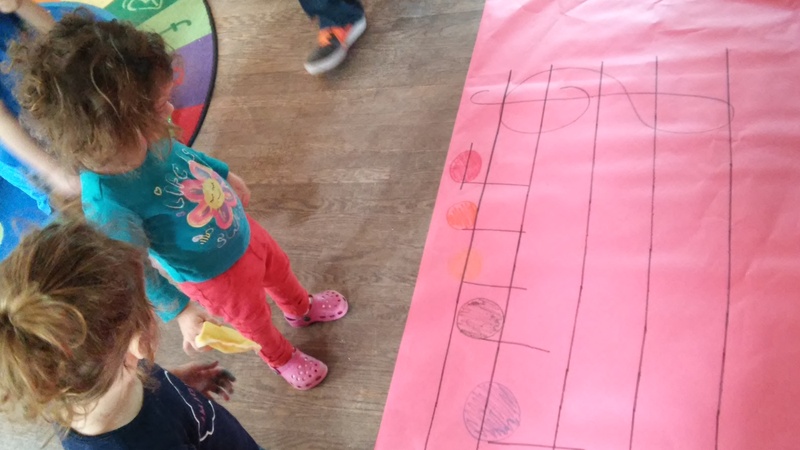 Before starting the gross motor portion of our music class, your budding pianists played around with these three notes, experimenting with the different sounds that they made. They then used a bean bag that they tossed onto a piece of butcher paper. 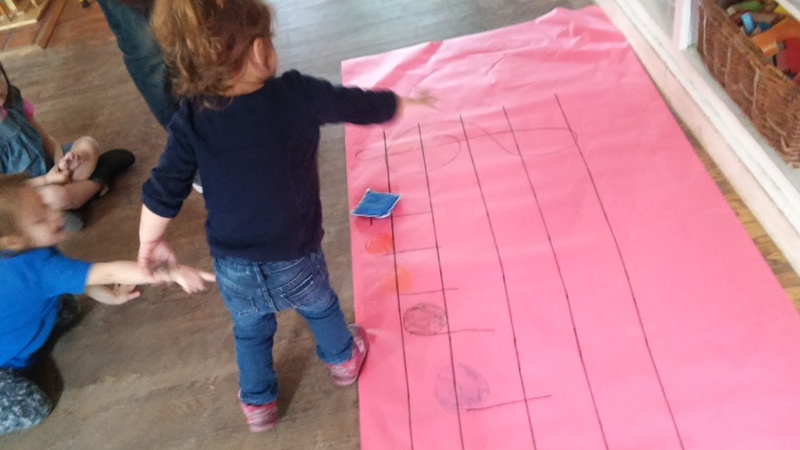 A staff, complete with notes C. D and E, were drawn, and students had to use their “big” muscles to throw the bean bag onto the correct note.